The owner of any public street has a legal duty to ensure that the street is safe and to minimise the risk of accidents. 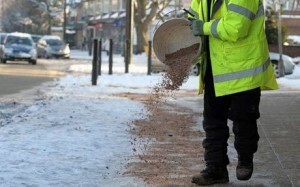 Usually it is the local council who are responsible to keep our streets well maintained and clean to reduce the risk of slips and trips in the street, yet despite this every year thousands of people are injured by avoidable falls, such as tripping on uneven paving stones or slipping on ice. If you have been injured as a result of a slip or trip in the street then you may be entitled to claim compensation if your accident was not your fault. You can find more detailed information on claiming compensation for a fall here or explore the links below for further advice on your specific situation. Please call us for a confidential, free, no obligation chat if you would like to discuss your options further and we can advise you how we can help. Claimant Receives £140,000 Compensation Following a Car Accident. Error: Error validating access token: Session has expired on Saturday, 09-Mar-19 13:12:58 PST. The current time is Thursday, 25-Apr-19 10:06:57 PDT.